Arvind Kejriwal has blamed thick, toxic smog enveloping the national capital mainly on farmers burning crop stubble in Punjab and Haryana to clear fields for the next sowing season. 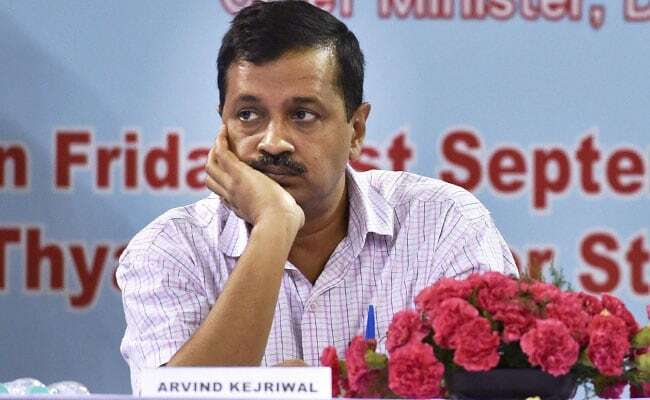 Chandigarh: After his Punjab counterpart Amarinder Singh called him a "peculiar person," Delhi Chief Minister Arvind Kejriwal has drawn criticism from Haryana's Manohar Lal Khattar, who has accused him of "pollution politics" and advised him to "rise above vote-bank politics. Arvind Kejriwal has blamed thick, toxic smog enveloping the national capital mainly on farmers burning crop stubble in Punjab and Haryana to clear fields for the next sowing season. He said he had written to the chief ministers of both states to put their heads together to find a solution, but had not been given an appointment by either. "I will be in Delhi on Monday and Tuesday. 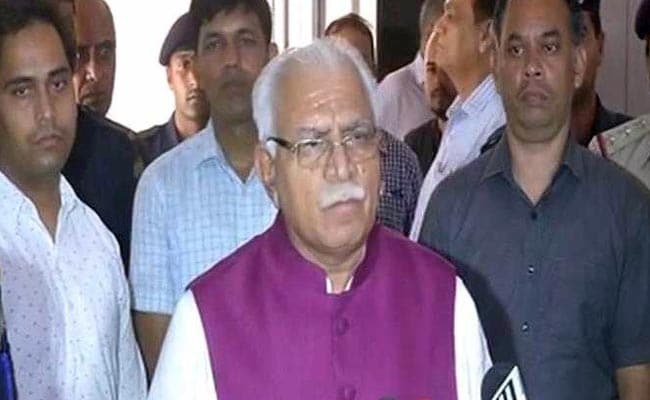 There is no response from your office on meeting," countered Haryana Chief Minister ML Khattar in his reply to Mr Kejriwal, also asking, "There are 40,000 farmers in Delhi. What are you doing about them?" Every winter as farmers burn crop stubble, the smoke travels towards Delhi and mixes with other pollutants to cover the capital with a deadly grey smog. Schools had to be shut down last week as the Delhi government scrambled to find solutions to the spike in pollution. Arvind Kejriwal "has his own viewpoints on everything without understanding the situation," Punjab Chief Minister Amarinder Singh had said last week after Mr Kejriwal suggested that the Punjab and Haryana governments rise above politics and help solve Delhi's air quality emergency. "If I have got 20 million tonnes of paddy straw, if I ask the farmer to store this, farms will be covered with the paddy straw. Mr Kejriwal doesn't understand this problem," the Punjab Chief Minister had said. Amarinder Singh holds that the meeting of chief ministers suggested by Arvind Kejriwal will serve no purpose. He said he had requested Prime Minister Narendra Modi to convene meeting of Chief Ministers of affected states along with union ministers since the Centre's role was crucial in finding a solution in an interstate matter. Mr Kejriwal has said using force will not help end the farm burning problem in Punjab and Haryana. "It's an economic problem. Unless the governments there don't find economically viable alternatives, this won't stop," the Delhi Chief Minister has said.